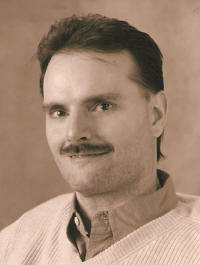 Jack G. Carson, 43, of Breese, formerly of Trenton, died Saturday, August 2, 2008 at St. Mary Hospital in St. Louis, MO. He was born February 7, 1965 in Juneau, Alaska to Robert and Dorothy (nee Glenz) Carson; his mother preceded him in death and his father survives in Trenton. Jack is also survived by his son, Alex Carson of Breese and his former wife and friends, Jill (Don) Carson-Kuhl of Breese and Macy and Holly Kuhl. Brothers, Jeff (Stacia) Carson of Troy and Jim (Pacita) Carson of Swansea, and a sister, Jaleh (Charlie) Pons of Florissant, MO. Mother-in-law, Loretta McAllister of Breese. He was preceded in death by his father-in-law, Elmer “Mac” McAllister. Jack formerly worked as a carpenter. Funeral Service will be Wednesday, August 6, 2008 at 10:00 AM at the Moss Funeral Home in Breese with Fr. Patrick Peter officiating. Interment will be in Ellwood Cemetery in Breese. Visitation will be Tuesday, August 5, 2008 from 5:00-8:00 PM and again on Wednesday, August 6, 2008 from 9:00-10:00 AM at the Moss Funeral Home in Breese. Memorials can be made to the National Spinal Cord Association and will be received at the funeral home.